The Murray-Darling Basin Authority has been found to have acted unlawfully, committed gross maladministration and ignored climate change. A report from an inquiry into the multi-state Murray-Darling Basin system has found water allocations were driven by politics rather than science. It calls for a new scientific approach to be used to determine how much water should be returned to the environment and how much should be provided to farmers and other uses. 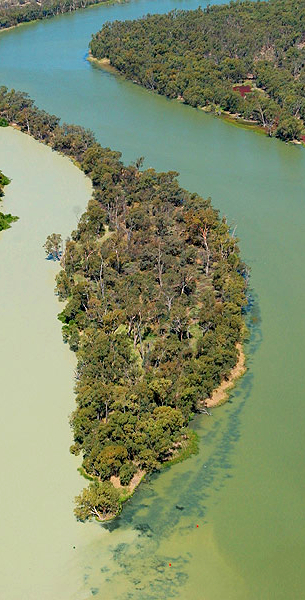 The Murray-Darling Basin Authority (MDBA) has already rejected some of the recommendations. “The MDBA rejects any assertion by the Commission that it has acted improperly or unlawfully in any way,” it said in a statement. The South Australia-based royal commission's 746-page final report includes 111 findings and 44 recommendations. Commissioner Bret Walker SC found the MDBA “completely ignored” climate change projections when considering how much water could be returned to the environment. “That is unlawful. It ignores the best available scientific knowledge,” the report said. It also stated that the board's disregard amounted to maladministration, and criticised its secretive style after the MDBA fought to ensure its employees were not compelled to give evidence before the commission. The full report is accessible in PDF form, here. Stanford University graduate Arjuna Dibley has written at length about the need for the MDBA and other public authorities to take climate change seriously. South Australia’s Liberal Premier Steven Marshall said the commission strayed from its initial task of investigating water theft allegations. Australia's peak farming lobby the National Farmers' Federation (MFF) described the report as “unnervingly emotive”. “The presumption that the plan is not legally valid flows through to a number of recommendations, which cannot be progressed until or if the validity is resolved,” NFF president Fiona Simson said. Labor's water spokesperson Tony Burke was water minister when the plan was introduced, but waited until last week to write to the royal commission offering to provide evidence. He said the findings should be handed over to the Australian Public Service Commission for a “proper investigation”. “If these findings are right, serious action needs to be taken by the Commonwealth,” he told the ABC. “You don't get, really, a more serious allegation against a government agency than to say it has acted unlawfully and deplorably. Left-leaning think tank The Australia Institute has called for a major overhaul of the plan in the wake of a major fish kill on the Darling River in NSW. “A million dead fish can't be wrong and a million dead fish are saying that we need more water returned to the rivers of the Murray-Darling Basin,” research director Rod Campbell said.